Get $110 OFF! Find Quickbooks Mac now on sale at Amazon. As one of Intuit’s top resellers, you can often find some of the best deals at Amazon. And with the the 2016 just released, you know that Amazon would be quick to discount it all. 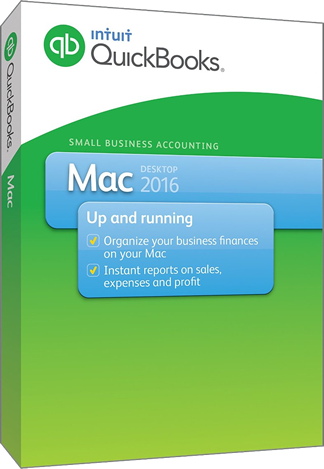 That includes QuickBooks for Mac 2016 that’s now up to 37% off the retail price (a cool $110.00 savings!). Both the digital version (which lets you download your order after checkout) and the boxed version are on sale. Just note that Amazon’s prices may vary daily and change without notice to us so see their site for details. Get $100 OFF! Save $100.00 on the new QuickBooks Mac 2016! With Intuit’s new 2016 just released, you may be thinking to yourself that there’s no way you can find a copy this wary in the product cycle on sale. But that’s not true as you’ll now be able to save 33% (that’s a $100.00!) on QuickBooks Mac 2016 instantly at Intuit.com (just follow the above instant coupon link). This promotion is good through April 30, 2016. Just $9/month Save on Quickbooks Online Canadian versions. Just like in the U.S., you can get forgo the boxed version and go with one of the online subscription versions. Although you have to pay a monthly fee, it’s really not that much and starts at just $9.00 per month. The benefit of the subscription version is that you can access your account from any computer from anywhere. Now you don’t need to worry that you will loose all your accounting data if you computer crashes or gets stolen. This is an ongoing offer that does not require a promo code. Where can I get a free trial of QuickBooks? Unfortunately, you can’t. Intuit does not offer free trials on either of their QuickBooks and Quicken software products. But this doesn’t mean that you can’t try it for free. There is a 60-Day Money Back Guarantee on all QuickBooks desktop purchases, so if you buy it and don’t like it for any reason at all, then you can request for a complete refund. What makes it even easier, if you purchased QuickBooks Pro, Premier, or Enterprise Solution software, then you may not even be required to physically return the product because they are able deactivated our license remotely. If you think that you may want to return your QuickBooks order, then we recommend you check out the return details.